Featured on our own 7xe-sequence 15" built-in LCD monitor, this contact filter. interface inspires customers at all ranges and gives you intuitive operation. Our impact absorption technique provides ultimate experience for any consumers. This is a stock image. For an exact image, please click on request a quote. 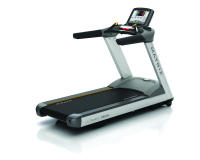 Matrix T7XE treadmill is one of the major models of the company that promises 25,000 miles of performance without any maintenance, and a very long life. 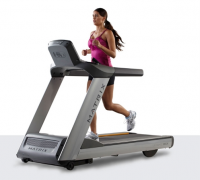 It is equipped with a powerful 5 HP motor along with patented Dynamic Response Drive system for monitoring and adjusting the speed according to user footfalls, providing more natural and smoother running experience. The console has a touch screen powered with patented FitTouch technology that provides a highly intuitive interface. Strong, smart and beautiful do not just happen. Neither do belts that be preserved longer. Or motors this run smoother. Or even designs that glance better. 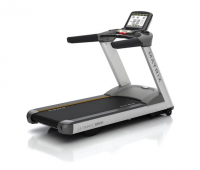 Striking the right balance of archaeologist and aesthetics, our treadmills attract more attention and require less maintenance that anything you put next to it. Intuitive LED console display. Compatible with iPod for charging. Integrated 3-speed personal fan. WiFi enabled for use with Matrix Asset Management system. This is a stock image. For an exact image, please click on request a quote.